Reunion Island in the Indian Ocean has been put on red alert in preparation for the arrival of cyclone Bejisa. French officials said the “danger was imminent” and residents have been told to remain indoors. Meteorologists say the cyclone is heading from the north to the south-east of the island. They say cyclone Bejisa is likely to have weakened in intensity by the time it actually makes landfall. But they warn that winds could exceed 124mph with waves reaching as high as 30ft. The Roland Garros airport has been closed and transport and postal services have been suspended. 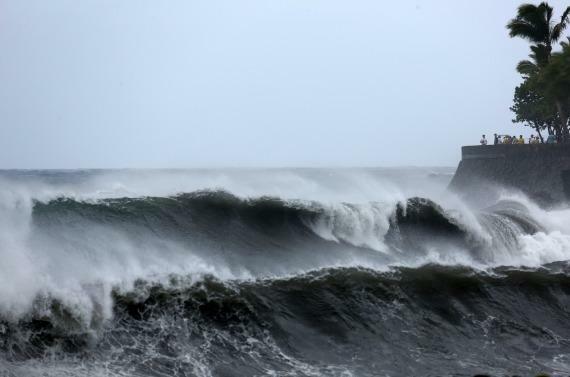 Preparations for the cyclone have been under way since Tuesday as the island continues to be be battered by torrential rain with swells lashing coastal areas. Residents have been stocking up on foodstuffs, water and batteries and emergency services are on standby.